Principal and interest loans comprise of the ‘principal’ (the amount borrowed) and ‘interest’ (the extra money you have to pay back). When you make repayments on a principal and interest loan only a portion of the repayment goes toward the actual loan amount. At the beginning of the loan the majority of each repayment goes toward paying the interest portion. As time goes on the repayment balance changes so that the majority portion of each repayment goes toward the loan portion. Interest only loans are loans that require the borrower to repay interest only, leaving the principal amount owing in full. This is a strategy sometimes used by property investors to minimise repayments. Their hope is that the value of their investment property increases over time so that the investment is worth more than the loan amount, this way an investor can create equity without having paid any money on the principal. The risk of choosing an interest only loan is that you will not have paid any money off the principal if the property you purchase does not go up in value. A variable rate loan allows lenders to increase or decrease the interest rate at any time they choose. Even a relatively small increase on an interest rate can make a substantial impact on your repayment. Advantages to having a variable rate loan allows you the flexibility to make unlimited additional payments. To understand how variable interest rates are set you should know that the Reserve Bank of Australia controls monetary policy by setting a ‘cash rate’ which is the rate charged on overnight loans between banks. This rate is reviewed by the RBA each month however credit lenders have the authority to independently adjust their variable rates at any time. This means that there is always the possibility that your variable rate may increase even if the ‘cash rate’ does not increase. 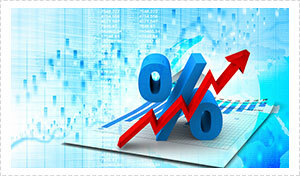 Fixed rate loans are one way of protecting yourself against the fluctuations of variable rates. Fixed rates are generally set for a period of between one year and five years. The obvious advantage of having a fixed rate is that you know exactly what your repayments are going to be and have the security of knowing that any interest rate rises will not affect your repayments. For many people the security of a fixed rate is helpful for budgeting their household finances. The risk with fixed rates is that you may miss out on savings if the interest rate drops. Another disadvantage in having a fixed rate is if you have to sell or refinance your property during the fixed rate term you may incur additional fees to cover break costs. Split rates are interest rates that allow borrowers to take advantage of both fixed rates and variable rates as an arrangement within one home loan. Split rates are also sometimes referred to as split home loans, split facility and split mortgage. Split rate home loans can be a good option to choose if you are having trouble deciding between a fixed rate or a variable rate on a home loan. Split rates can give you the best of both worlds, the flexibility of a variable rate along with the security of a fixed rate. 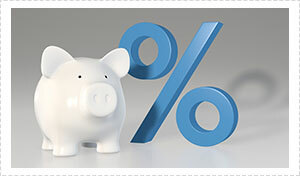 If interest rates rise you have the security of a fixed rate to protect your repayments from increasing. If interest rates go down, a variable rate gives you the opportunity to take advantage of the lower interest rate. Split rates can be portioned however you choose. You can choose an even split of a variable rate and a fixed rate or you can favour a higher portion of the loan to be at a variable or fixed rate. Honeymoon/introductory rates are special rates offered by some credit lenders to give the borrower a low interest rate at the beginning of the loan, usually one or two years. If you choose a honeymoon/introductory loan, make sure you understand what the interest rates will revert to after the introductory period ends. Choosing the lowest interest rates is not always the best option. Fees and charges may end up adding thousands of dollars to your loan. If you need advice on what to look for when it comes to variable rates, fixed rates, split rates, honeymoon/introductory rates, principal and interest or interest only loans, Nexhome Finance can help. We work with over 30 lenders and have been proudly serving the Gold Coast and Brisbane community for over 13 years. To find out how we can help you reach your financial goals call us, email us or complete our Client Application Form and we’ll be able to help you get the best deal possible.